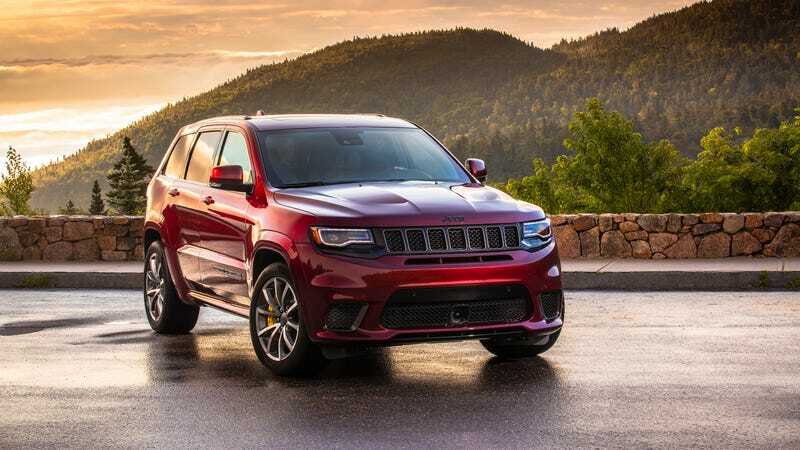 A few days ago we were sent a rumor that some Jeep Grand Cherokee Trackhawks had been stolen from Chrysler’s Jefferson North Assembly plant in Detroit. Today, a spokeswoman for Fiat Chrysler gave us a statement confirming that six Trackhawks were stolen on Nov. 17. A spokesman for Detroit police initially said over the phone that the department could provide Jalopnik with more information on the matter, but subsequent emails weren’t responded to. FCA US is working with the Detroit Police Department regarding the theft of six Jeep Grand Cherokee Trackhawks from the Jefferson North Assembly Plant on Nov. 17, 2017. One vehicle has been recovered. Additional security measures have been put in place at the plant to prevent any further incidents. FCA did not respond to questions about the exact circumstances of the thefts. Six Grand Cherokee Trackhawks is about half-a-million dollars worth of SUVs at a minimum, with five of them are still out there. The Trackhawk, as you probably know, has a 6.2-liter supercharged V8 under its hood, and is capable of going from zero to 60 mph in 3.5 seconds. It’s also, at a base MSRP of $85,900, the most expensive vehicle Jeep sells by some distance.